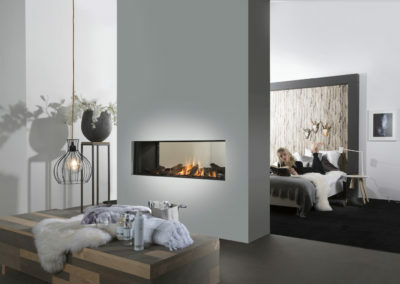 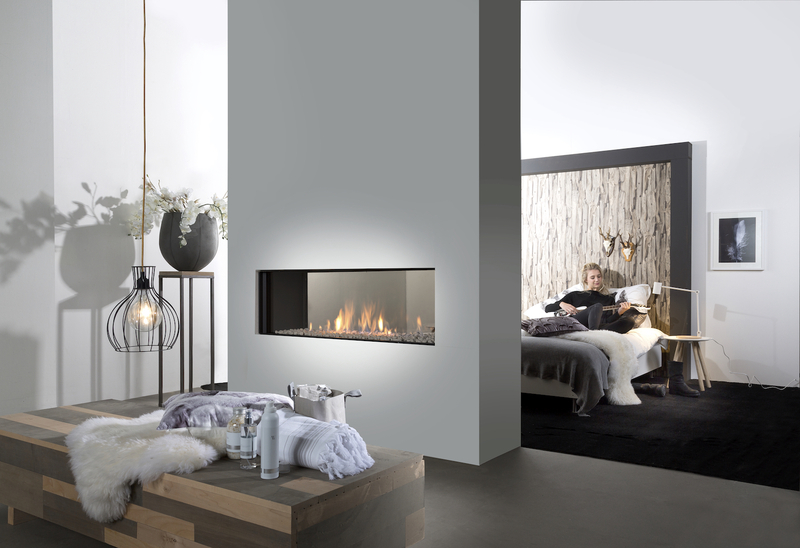 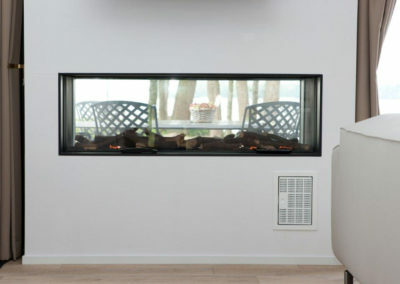 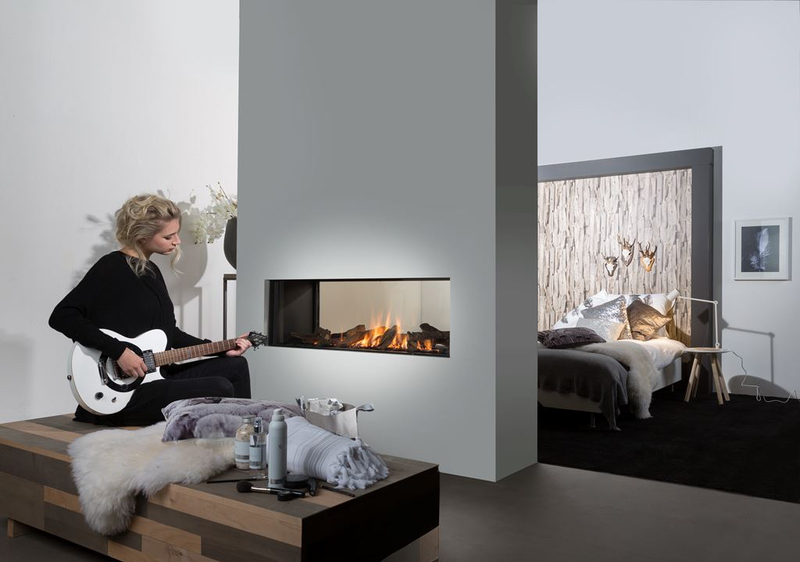 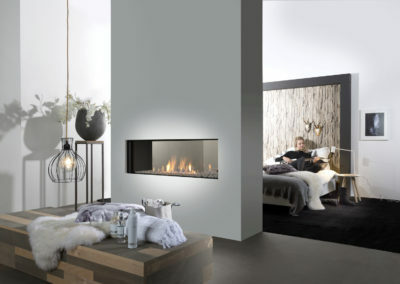 A stunning, large see through gas fireplace with double burner, allowing you to regulate the amount of heat without sacrificing the flame effect. 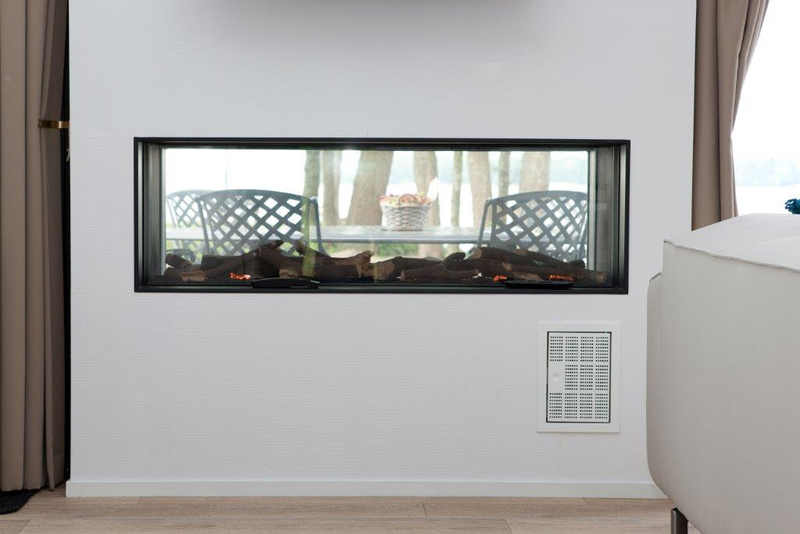 This fire can optionally be installed using the Wanders Ecowave system. 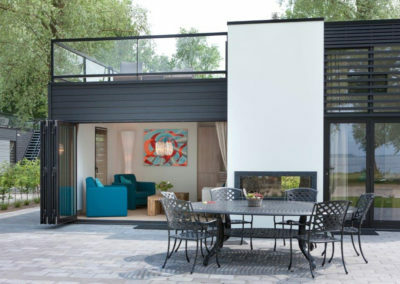 This unique version of the Koto can be built-in in such a way that allows you to enjoy the burning log fire both indoors and outside on patio.